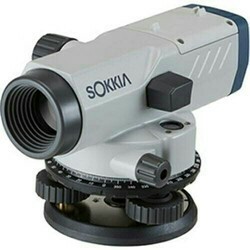 Providing you the best range of sokkia b40a - auto level, leica na300 automatic level, leica na320 automatic level, leica na324 automatic level, leica na332 automatic level and leica na520 automatic level with effective & timely delivery. The Sokkia B40A automatic level incorporate field-proven precise and reliable compensator for accuracy you can rely upon. 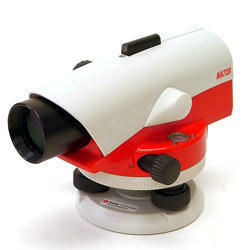 The optimally designed telescope provides exceptionally bright and sharp view that reduces operator’s eyestrain. Quick collimation and horizontal angle measurement combine for fast and easy aiming of layout and alignment tasks. The compensator of Sokkia B40A Optical Level incorporates four suspension wires made of super-high-tensile metal that features minimal thermal expansion coefficient, providing unmatched durability and accuracy. Finely tuned magnetic damping system quickly levels and stabilizes the line of sight despite the fine vibrations present when working near heavy equipment or busy roadways. Sokkia Auto Level B40A can focus on objects at 20cm (7.9 in.) in front of the telescope. This feature dramatically facilitates the works in confined spaces. Horizontal angles can be directly read in 1° or 1gon units. Free rotation feature allows you to read any angle from zero. With the IPX6 rating, the instrument is protected against powerful water jets from all directions, meaning Sokkia Level B40A withstands a sudden shower or torrential rainfall. The advanced protection design also deters clouding or condensation inside the telescope. SOKKIA has been performing environmental tests against a set of expected job site conditions to certify the products for long term use. The B Series has been tested by special inspection equipment for complete waterproofness. The B Series also has the highest environmental performance and durability in SOKKIA’s Auto Level history, proven by tests against temperature, humidity, vibration and drop. The B Series is proven to withstand powerful water jets from all directions without any submergence inside the unit. The B Series has passed operating temperature tests from -20 to +50 degree. The B Series has passed strict durability tests including rotation of the leveling foot screw, Focusing knob and Horizontal fine motor screw. The Leica NA 320 automatic (optical) level has been developed for professionals who are looking for the highest quality results day by day. With the many obstructions and uneven surfaces on construction and building sites, the NA320 auto levels rise to the occasion and ensure the straightest and safest construction possible. The NA300 Series is your reliable partner for accurate measurements and high quality results. 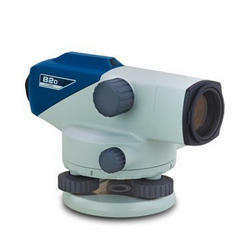 Thanks to the ergonomic design, NA 300 Series levels are convenient to operate. Add in the simple and easy handling of these levels, and you have the perfect partner on any job site. Professionals face many obstructions on site. Whatever the levelling challenge, Leica NA320 levels overcome. Rely on the known expertise of Leica Geosystems for the best quality and performance. On your terms, on your site, Leica Geosystems and the Leica NA 320 Optical Levels are your trusted partners for accurate measurements every time. Leica NA320 levels have been engineered for daily levelling tasks. Whatever the need, these levels measure with the highest precision and accuracy. These automatic (optical) levels provide the highest in both while being ergonomic in their handling and rugged for daily use in the harshest conditions. A perfectly designed mirror makes it extremely easy to adjust the horizontal level with the highest possible accuracy and confidence. The Leica NA320 dumpy levels – along with all our automatic (optical) levels – are made for everyday use for any site. Leica Geosystems offers unbeaten service with all of its NA Series levels. The IP54 standard ensures the highest quality measurements even in the most challenging environments. 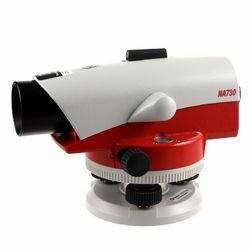 The Leica NA 324 automatic (optical) level has been developed for professionals who are looking for the highest quality results day by day. With the many obstructions and uneven surfaces on construction and building sites, the NA324 auto levels rise to the occasion and ensure the straightest and safest construction possible. The NA300 Series is your reliable partner for accurate measurements and high quality results. 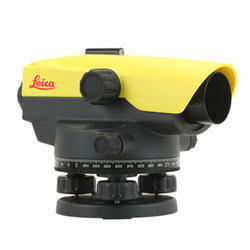 Key Features Of Leica Na324 Auto Level:Professionals face many obstructions on site. Whatever the levelling challenge, Leica NA324 surveyors levels overcome. Rely on the known expertise of Leica Geosystems for the best quality and performance. On your terms, on your site, Leica Geosystems and the Leica NA 324 Optical Levels are your trusted partners for accurate measurements every time. Whether you’re facing basic demands or you need more support, the unique design of the Leica NA300 Series of automatic (dumpy) levels can meet you wherever you are in the building and construction field. With a better protected shape, these rugged levels offer increased ergonomic handling while ensuring you receive the highest quality results at the best price value. 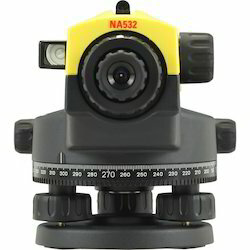 Leica NA324 auto levels have been engineered for daily leveling tasks. Whatever the need, these levels measure with the highest precision and accuracy. These automatic (optical) levels provide the highest in both while being ergonomic in their handling and rugged for daily use in the harshest conditions. A perfectly designed mirror makes it extremely easy to adjust the horizontal level with the highest possible accuracy and confidence. The Leica NA324 optical levels – along with all our automatic (optical) levels – are made for everyday use for any site. The Leica NA 332 automatic (surveyors) level has been developed for professionals who are looking for the highest quality results day by day. With the many obstructions and uneven surfaces on construction and building sites, the NA332 optical levels rise to the occasion and ensure the straightest and safest construction possible. The NA300 Series is your reliable partner for accurate measurements and high quality results. Professionals face many obstructions on site. Whatever the leveling challenge, Leica NA 332 construction levels overcome. Rely on the known expertise of Leica Geosystems for the best quality and performance. On your terms, on your site, Leica Geosystems and the Leica NA332 Dumpy Levels are your trusted partners for accurate measurements every time. 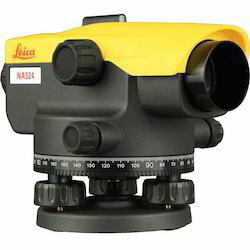 Leica NA 332 auto levels have been engineered for daily leveling tasks. Whatever the need, these levels measure with the highest precision and accuracy. These automatic (optical) levels provide the highest in both while being ergonomic in their handling and rugged for daily use in the harshest conditions. A perfectly designed mirror makes it extremely easy to adjust the horizontal level with the highest possible accuracy and confidence. The Leica NA 332 builders level – along with all our automatic (optical) levels – are made for everyday use for any site. Experts face many difficulties on site. Whatever the levelling task, Leica NA520 levels overcome. Depend on the known capabilities of Leica Geosystems for the finest in quality and performance. On your conditions and on your site, the Leica NA520 is the reliable instrument for precise measurements every time. Unique design and recognised technology throughout. Experts face many difficulties on site. Whatever the levelling task, Leica NA532 levels overcome. 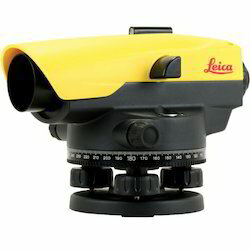 Depend on the known capabilities of Leica Geosystems for the finest in quality and performance. On your conditions and on your site, the Leica NA532 is the reliable instrument for precise measurements every time. The Leica NA720 automatic level is extremely popular within the construction industry being known for its increased robustness and precision when working in tough environments. Onsite hazards such as falling to ground from a low height, exposure to water and vibrations caused by heavy machinery are no problem for the robust Leica NA720. With no need to re-adjust this level carries on working and measuring precisely, day in and day out. The horizontal circle and circular bubble are easily read, both being positioned next to the telescope and the external sight allowing for easy targeting. The upright image is clearly shown and the double sided endless drives provide fast targeting. The NA720 comes with one of the finest optics allowing for short measuring distances, measuring in adverse light conditions and accurate aiming. The increased tough and robust features of the NA720 include waterproof and protection against dust. The tight seals and gas filled telescope give protection against hazards should the instrument be dropped in to water. 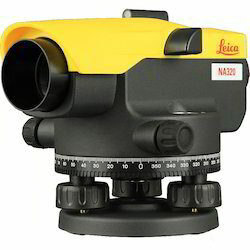 The Leica NA724 automatic level is one of the popular instruments in the building and construction industry and is renowned for its toughness and precision when used in harsh conditions. Hazards including falling from a low height and beingexposed to water as well as vibrations caused by large machinery are never a problem for the tough Leica NA724. Re-adjustments are not needed as this level carries on measuring and working accurately every day, all day. The circular bubble and horizontal circle are easily read as they sit next to the telescope and the external sight which allows for easy approximate targeting. The image is shown upright and the double sided endless drives provide fast targeting. The NA724 comes with one of the finest optics allowing for short measuring distances, accurate aiming and measuring in adverse light conditions. The increased robustness and tough features of the NA724 include protections against water and dust. Tight seals and a gas filled telescope give protection against hazards should the instrument be dropped in to water for example. 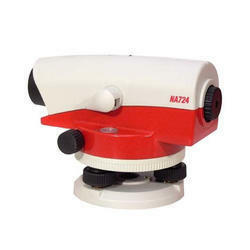 The Leica NA728 automatic level one of the most popular construction instruments we provide. It is known for its increased robustness and precision on tough working environments. Onsite hazards including small drops to ground, exposure to water and large vibrations from heavy machinery are no issue for the tough Leica NA728. With no need for re-adjustments this level can continue to work and measure precisely day in, day out. The horizontal circle and bubble are easily read as they are positioned next to the telescope and external sight which allows for simple targeting. Upright images are shown clearly and the double sided endless drives provide fast targeting. The NA728 comes with extremely high quality optics which allow for short measuring distances, measuring in poor light conditions and precise aiming. 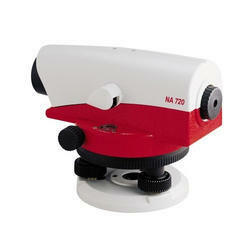 Increased tough build and robust qualities of the NA728 include water and dust protection. The gas filled telescope and tight seals provide protection against daily hazards should the instrument be dropped in to water for example. 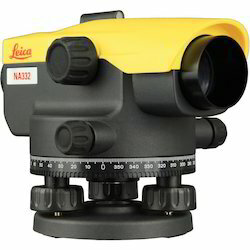 The Leica NA730 automatic level is the top of the NA700 series range and is very popular within the construction and building industry. It is known for its increased durability and accurate measuring on harsh working environments. The NA730 is tough, it protected against impacts and can survive short drops, exposure to water and withstand vibrations caused by large machinery. With no need to constantly re-adjust this levelling instrument can continually work and measure precisely all day, every day. The horizontal circle and bubble are easily identified as they are positioned next to the external sight and telescope for easy targeting. The image is shown upright and the double sided endless drives provide accurate targeting. The NA730 also has exceptional optics which allow for short measuring in adverse light conditions, measuring distances and accurate aiming. The increased robustness and durable features of the NA730 include dust and water protection. The build quality is second to none with tight seals and a gas filled telescope which aid protection against hazards should the instrument be dropped in to water for example. Sokkia B series automatic levels feature enhanced reliability under all envi-ronmental conditions. Tough and compact bodies are tightly sealed against water, humidity and dust (IPX6). The B series levels provide quick setup, easy sighting, and superior durability against vibration and shock, ensuring the increased productivity over long periods of time. The B series levels incorporate the most precise and reliable compensator available in the market today. Four super-high-tensile suspension wires and magnetic damping system ensure accuracy and stability even when exposed to temperature changes, vibrations, or shock. The endless horizontal motion drive screw can be operated with either hand for fast and easy aiming. Horizontal angles can be read in 1 Degree or 1gon units. The freely rotatable circle allows any angle reading from zero. Right angles can be quickly set for layout and alignment tasks. Sokkia’s B Series fit both domed and flat head tripods. The circular level can be seen on a pentaprism or plane mirror located beside the telescope eyepiece. The stadia lines on the reticle allow distance measurement to be carried out. Simply multiply the staff length between the top and bottom stadia lines by 100. 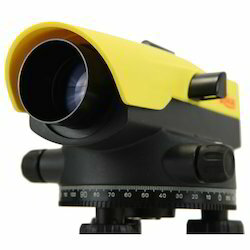 Looking for Automatic Level - Dumpy Level ?